At Pro-Bilt it is our mission to provide fast and excellent quality work at the best price possible. Transmissions are one of the most complex component in any gas or diesel operated vehicle. It is the transmissions job to allow the right amount of power to get to your wheels in order to drive at a given speed. It does this by shifting the gears similarly to the way a bike works. If the chain breaks, the bike cannot drive and this is no different for your car. Additionally, if you do not keep the transmission well maintained, your fuel economy can suffer or the vehicle can cease to drive at all. a transmission that needs maintenance or repair, but they can be easily missed. These warning signs include: lack of response, burning smell, leaking fluid, shuddering of the vehicle, hard shifting, and many more. Our trained professionals have the experience and the knowledge to be able to seek these symptoms out in order to properly diagnose your vehicle. We work with a large range of transmission models in order to be able to work on most makes and models in all years. Our highly qualified professionals are required in order to use our cutting- edge technology to service your vehicle. Their in- depth knowledge allows for the best approach in servicing your vehicle; making it possible to provide for an individualized experience and custom solution for every client. 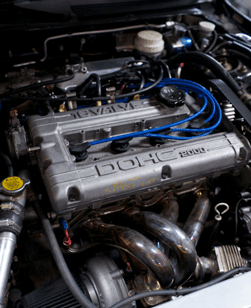 We service gasoline and diesel models for Acura, Audi, Bentley, BMW, Buick, Cadillac, Chevrolet, Chrysler, Dodge, Ferrari, Fiat, Ford, GM, GMC, Honda, Infiniti, Jaguar, Jeep, Kia, Lexus, Maserati, Mazda, Mercedes Benz, Mitsubishi, Porsche, Nissan, SAAB, Subaru, Suzuki, Toyota, Volvo, and more! 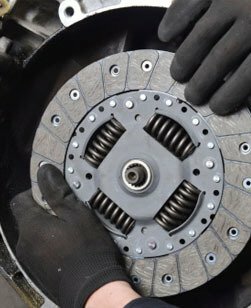 Though we specialize in transmission service, PRO-BILT Transmission & Clutch offers all kinds of transmission repairs as well. Just give us a call and see how we can help. At PRO-BILT Transmission & Clutch, we service all makes and models of foreign and domestic cars. Our integrity ensures that we will not exaggerate your issue, provide unnecessary repairs, or overcharge you for the parts or labor. Not every transmission issue requires a complete rebuild or replacement. With us, you can be sure that you will only get the services you need at a price you can afford. Our excellent customer service and friendly staff are ready to serve you. Located in Wilmington, we are just a short drive for the people of Southport & Leland, NC. Call 910-790-0031 or stop in today! When you need quality transmission service anywhere in North Carolina, you need to call PRO-BILT Transmission & Clutch. We’re located in the heart of Wilmington, NC and we provide the best transmission repair and service around. Call us today for more information on any of our transmission services. We look forward to serving you! Car trouble? Call the best transmission repair shop in NC, PRO-BILT Transmission & Clutch.